Justin Schwarz, the writer-director of “The Discoverers” talked with Indiewire.com. He distilled his top 12 tips for first-time feature film makers, and spoke about the need for storyboarding. “Prepping ‘The Discoverers,’ I shotlisted and storyboarded, but I knew we wouldn’t have time to do everything I imagined on paper. I developed a key frame system, which became extremely helpful on set. “Discover” you own key frames. Check out all of Justin’s tips on IndieWire.com: “Attention, Filmmakers: Here’s 12 Tips for Directing Your First Feature Film”. Finally, find your own key frames. 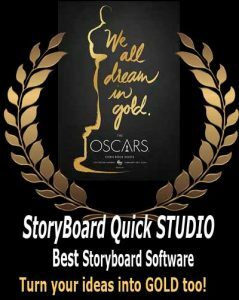 You can build better storyboards when you use the power of StoryBoard Quick. Check it out today!